The well know Chinese mobile phone manufacturers, ZTE officially released their all new Nubia Z5 in China yesterday. The Nubia Z5 comes with a 5 inch display with 1920 x 1080 pixels, a 1.5GHz quad-core Qualcomm Snapdragon S4 Pro processor, 2GB of RAM, a 13MP rear camera, 2MP front-facing camera, a 2,500 mAh battery, runs Android 4.1.2 Jelly Bean OS. This hand set will be available in black or white. The display will be manufactured by Sharp. The touch screen will be of 5 inch 1080p with 1920*1080 pixel resolution and 443 PPI. Now, just for a better perspective, you must know that the iPhone 5’s Retina display has a PPI (pixels-per-inch) of 326. This phone weights quite light at 4.44 ounces. It has an aluminum uni-body of ( 5.43*2.71*0.3). It has a 13 mega pixel camera with LED flash and boasts of panoramic and continuous shooting. Besides that it has a 2 Megapixel camera in the front. It has a memory of 2 GB, 32 GB Storage, and Dolby sound technology besides the free backup you get to a private cloud service. The device costs around 554.26 $ only. However its release in the United States remains unclear. We recently received that ZTE is also planning to launch the worlds first eight core smart phone. 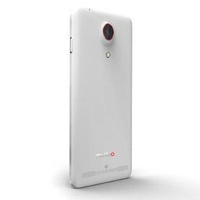 0 Respones to "ZTE ‘s all new Nubia Z5"